Metropolis Drachen | Plastic rim 2.50x8 20mm axle | Buy online now! 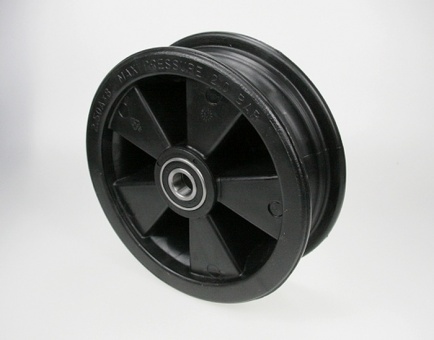 Black plastic rim for suitable for standard, semi or BigFoot light wheel. Black plastic rim suitable for standard, semi or BigFoot light wheels. 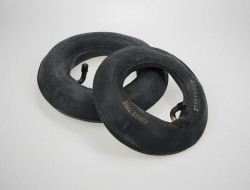 For tire mounting a tube is required. For axle diameter 12mm 2 reducers from 20 to 12mm are supplied with the wheel. 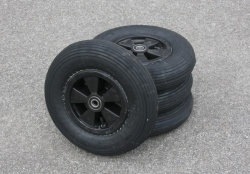 The wheelbarrow tire is the smallest standard wheel for buggies. Very narrow, ideal for hard-packed sand.